We decided to have gukbap for breakfast. 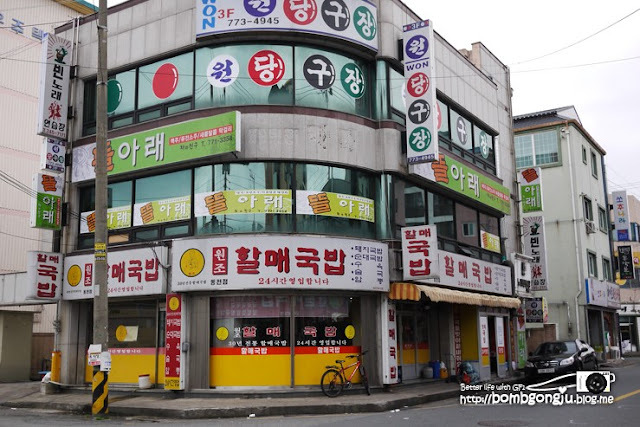 We didn’t know that the Gyeongju gukbap was a franchise restaurant. 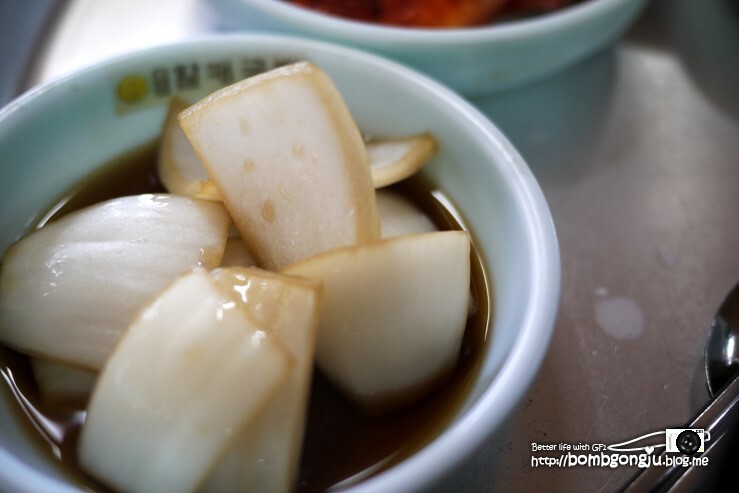 There was Gyeongju Haejangguk street with its bean sprouts Haejangguk. 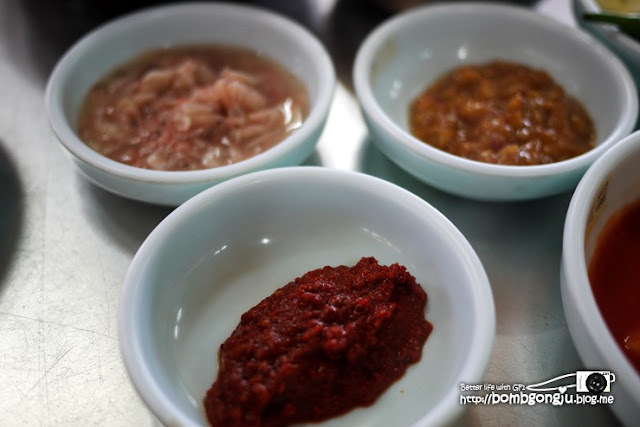 We were obsessed with pork gukbap. We gave up on the idea of yonggang gukbap because it was too far away. We finally decided to go an original grandma gukbap. 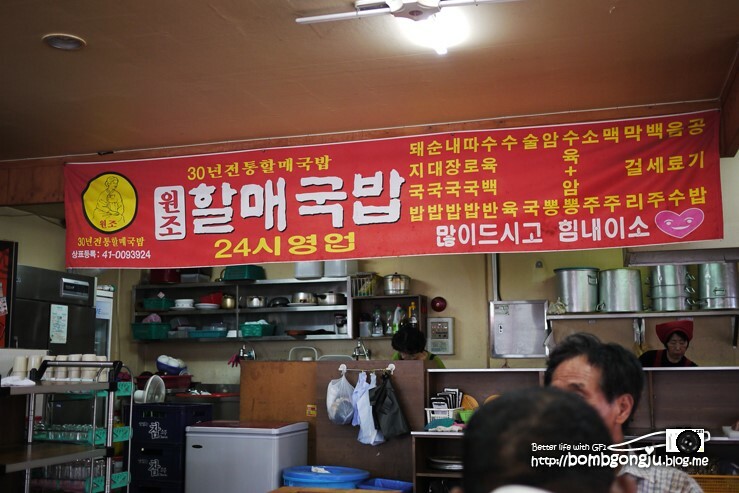 For decades, its signboard has said things similar to what other gukbap restaurants say today. I think we found the right place. 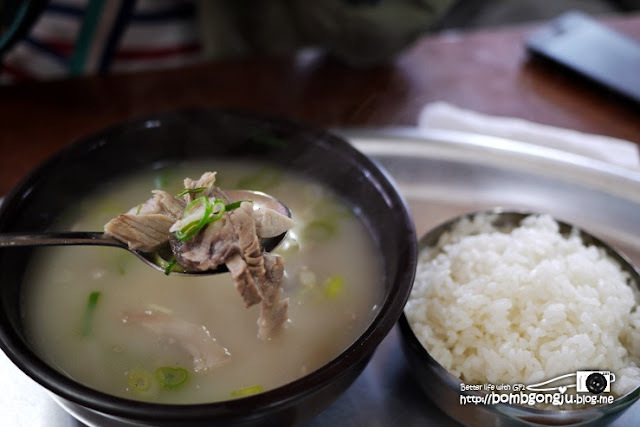 The pork gukbap was boiling in a pot and I knew it would relieve my hangover. This is the inside of the restaurant. Visitors kept on coming. There were quite a few customers in the restaurant at early lunch time. The price was 4500won per dish. 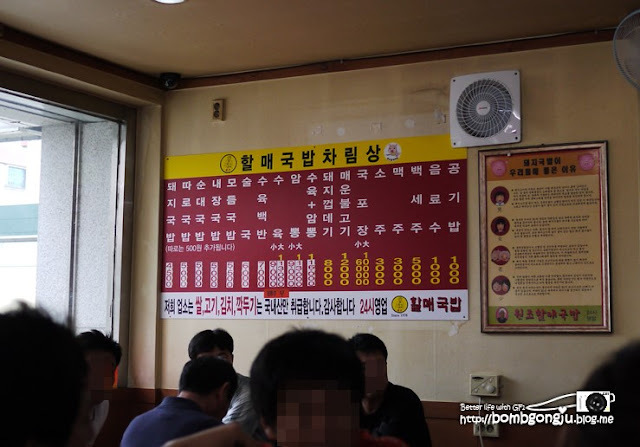 We ordered one gukbap and one intestine gukbap. 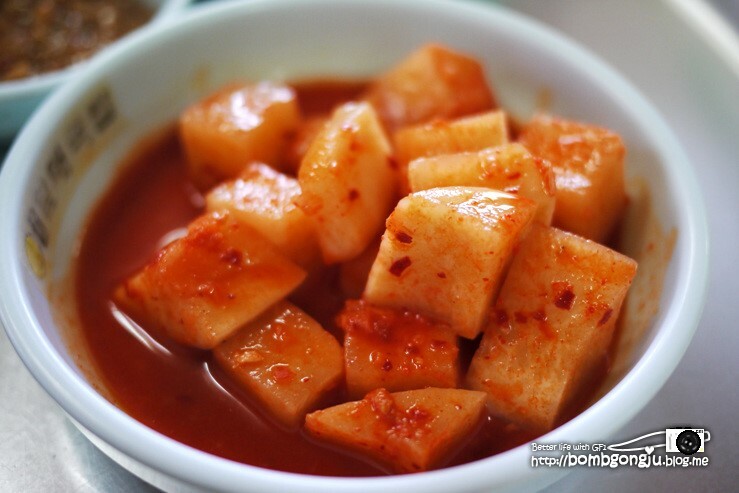 The basic side dishes were cubed radish kimchi, spices and salted shrimp. Thick soup is the chief feature of the pork gukbap but this seems a little light. 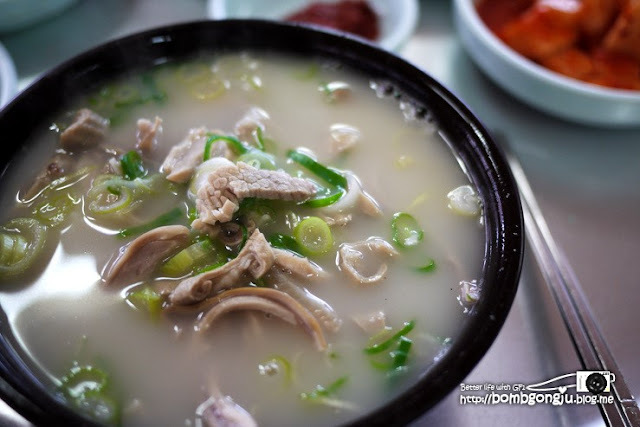 Original pork gukbap in Gyeongju has clear soup like Gomtang. 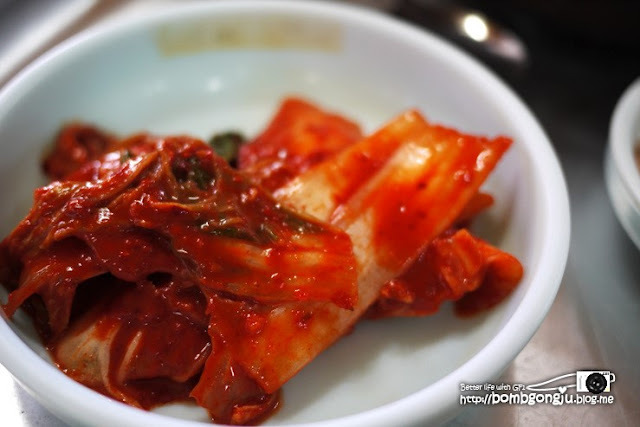 It tastes like Seolungtang rather than the normal pork gukbap but I liked it because it was clean and smelled pure. However, it was not to Miss. Sake’s taste. 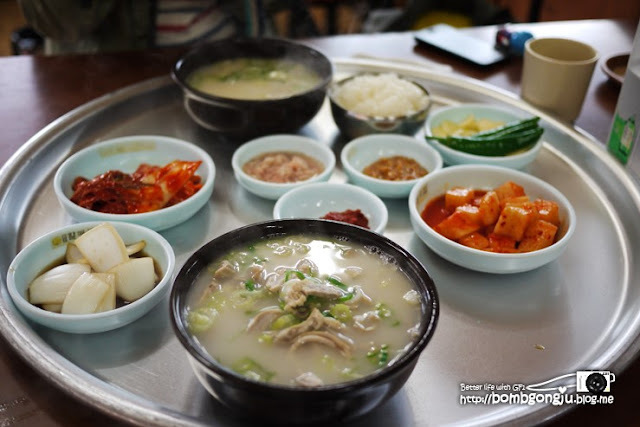 With its abundant pieces of meat and vegetables, the hot soup was good to relieve a hangover but I also wondered why we hadn’t gone to Haejangguk place, and seen Palwoojung. Anyway it was on the way to see the lotuses. We couldn’t have gone there straight away because we were way too hungry. 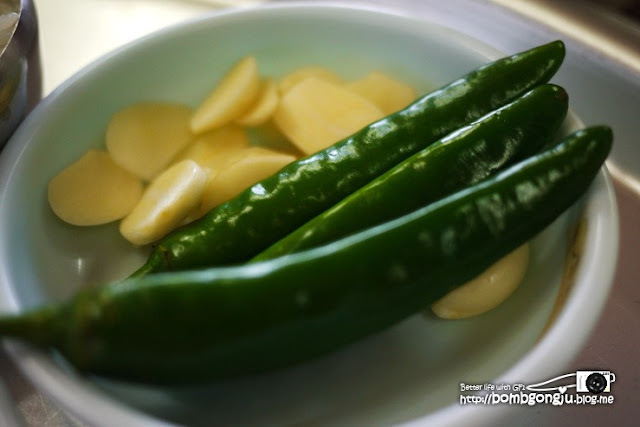 Fortified with a meal, however, we could walk on.